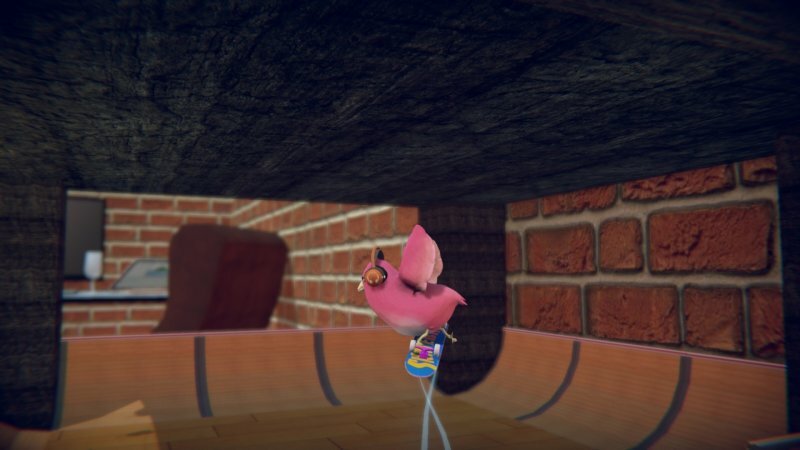 Drop in, and be a skateboarding bird. 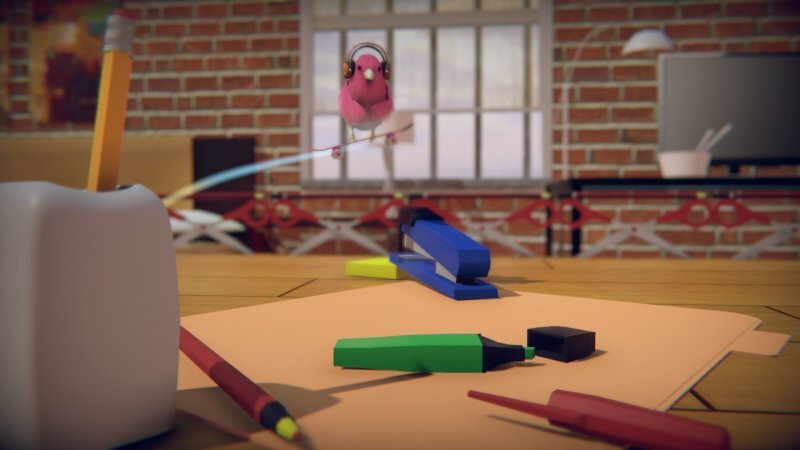 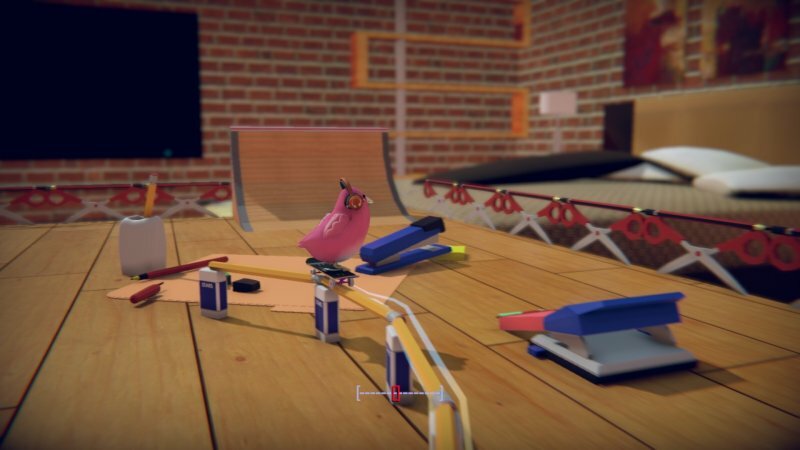 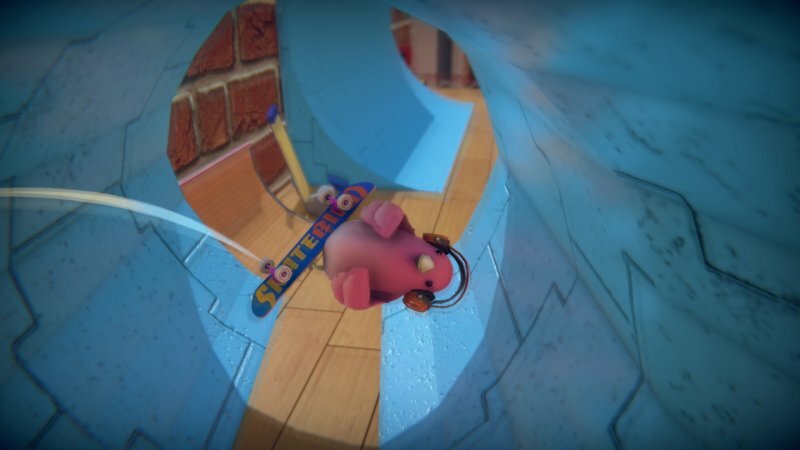 Grind on bendy straws, kickflip over staplers, and carve killer lines through a cardboard and sticky tape world. 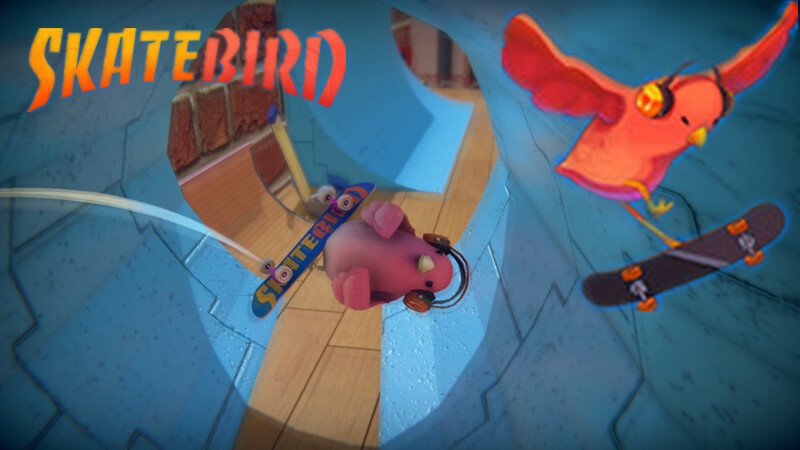 Skatebird can't fly, but on a board, they soar.